Dickies are world renowned for their workwear chinos. The company originally called the William Dickinson Manufacturing Company has long expanded its brand to include other wardrobe essentials. They have seen a huge rise in popularity among the Hip Hop, Punk to skateboarding industries. 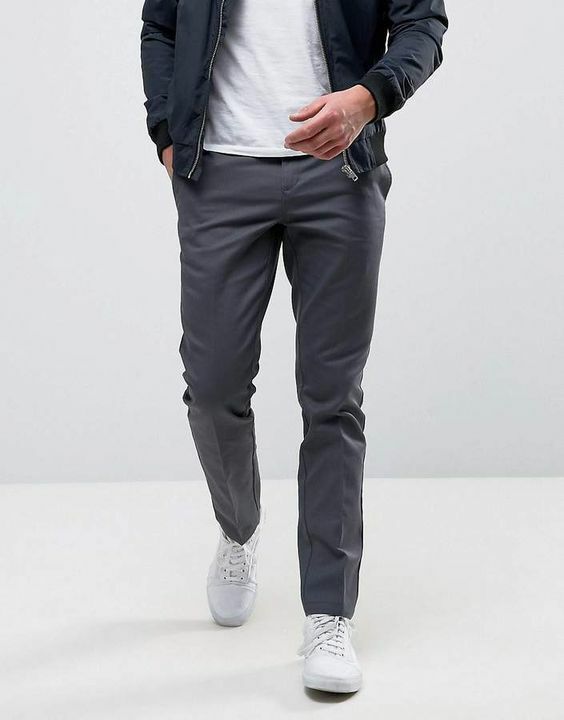 The brand’s Chinos have been one of the statement pieces they are known for all over the world. The chinos remain a popular choice among men and women alike because of the versatility they present. Other big brands like Liam Hodges and co have collaborated with Dickies to arrive at nice pairs for both street and sport wears. 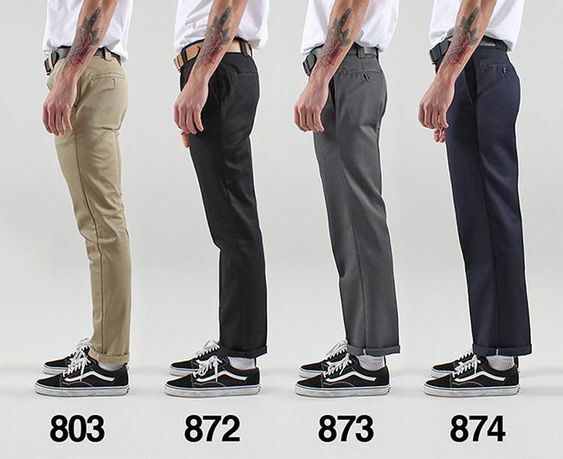 The four major fits of the Dickies Chinos are 872, 873, 803 and 874. Not sure whether you will need a slim or skinny fit? Take a look at the handy fitting guide below to discover which style of Dickies would fit in properly with you. 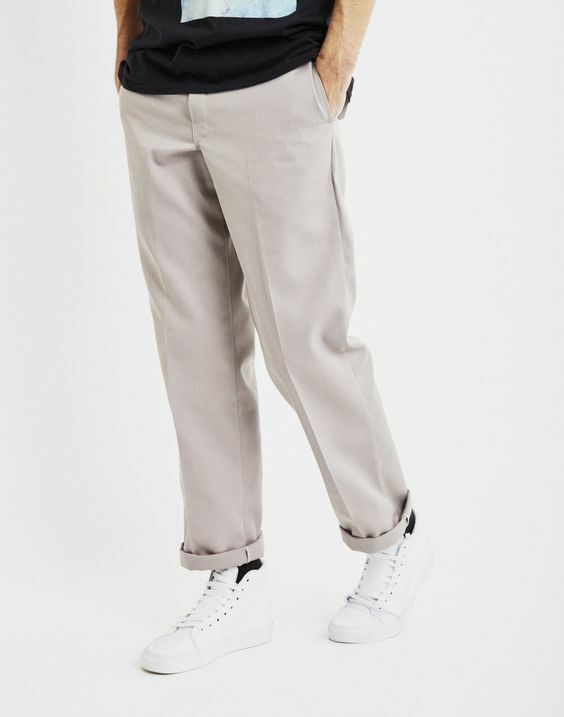 Dickies 872 chinos have a classic chino silhouette that is more tailored than the original. They have a subtly more tapered leg and a boost of a slim straight style. They are sturdily constructed from a blend of polyester, twill, and cotton. Talk of a real Dickies durability in a contemporary fitted aesthetic. In comparison to 873 and 803, the 872 sits midway between the two, not as tight as 872 and not as loose as 873. For a formal or smart approach, pair with a tucked in T-shirt and a pair of suede loafers. This will quickly get you into a sleeker look than the skater favored 874. Like the 872 discussed earlier, the 873 is a reworking of the original Dickies workwear chinos. Although it is more structured than the original Dickies the 873 is a loose fit than the 872. The main distinguishing feature is the rise between the crotch and the waistline. This rise is relatively lower than that found in 872. This means that the belt will sit lower and are not as baggie looking like the most Baggie Dickies chinos, 874. 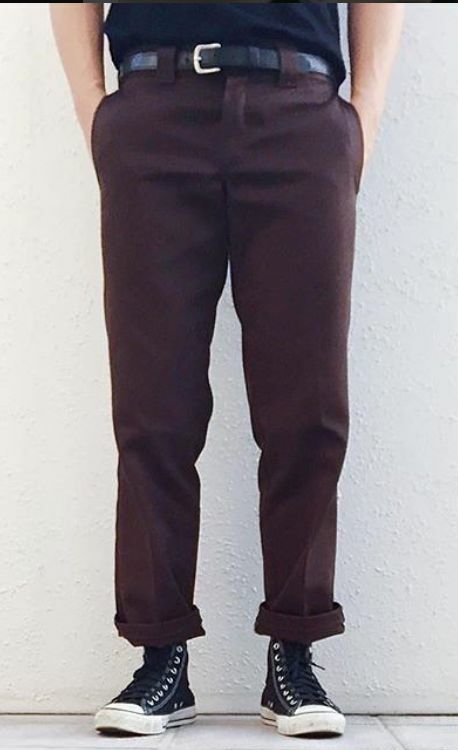 872 and 873 are the recommended Dickies chinos to be paired with a smart shirt. The renewed popularity of the skater’s dress code has seen an increased demand of the Dickies 874 chinos. They are very durable and withstand tough weather conditions, rich in heritage they have been the favorite chinos for amongst skaters. 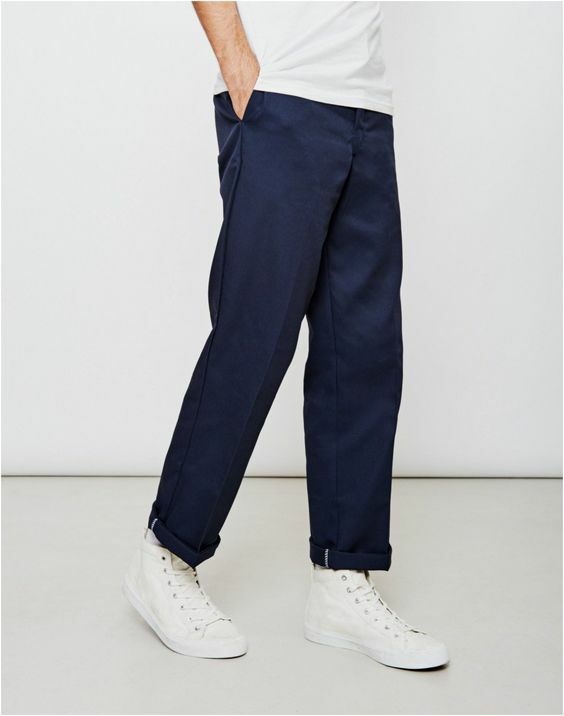 It’s the most loosed fitting Dickies chino that is appropriate for catwalks and streetwear. The Dickies 874 chinos are the most technologically advanced of all Dickie’s chinos. They are favored by skaters around the world because of the way they have been engineered to move. They are also strain and crease resistant. The high rise and lower drop crotch of the 874 means there is enough space for free movement than their slim tapered counterparts 873 and 872. For that retro-inspired skate look pair with a high top Converse sneaker. One is baggier than the other. While there isn’t much difference you need to consider what clothes you will be pairing with them. 874 is the more baggy option while 873 is less baggie and can fit properly to a smart attire.